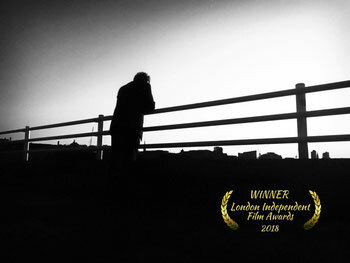 A man who feels isolated and has lost all hope, stands on Waterloo Bridge contemplating his fate. A stranger seeks to intervene. She can’t stop him but she can’t walk away. Amongst the iconic landmarks of London, a man overwhelmed by despair and burden by life, stands on a bridge contemplating finding peace at the bottom of the Thames. A concerned stranger stops and urges him to reconsider. Will her actions act as a catalyst in his life or death decision? At once unique and entirely familiar; a timeless story that explores hope and despair.